Posted by Editor at 11:33 PM . If statistics is the sole criterion to judge a batsman then Sachin Tendulkar has to be put on top of the tree in One-day Internationals in which he played 463 matches, aggregated 18,426 runs and compiled 49 centuries, all of them world records. Tendulkar’s retirement from ODIs, on the eve of the upcoming home series against arch-rivals Pakistan, has hardly come as a surprise. "I have decided to retire from the One Day format of the game. I feel blessed to have fulfilled the dream of being part of a World Cup winning Indian team. The preparatory process to defend the World Cup in 2015 should begin early and in right earnest. I would like to wish the team all the very best for the future. 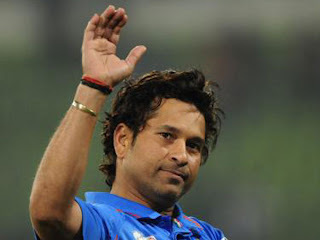 I am eternally grateful to all my well wishers for their unconditional support and love over the years," Tendulkar said in a statement just before the selectors got together on December 23 to pick the squad for the Pakistan series. The most interesting comment to this decision has come from Kris Srikkanth, a former chairman of the selection committee. "Actually I am surprised. If he is continuing with international cricket (Tests) then he should have continued with ODI also. We play almost 25 ODIs in a season. It is very important to keep playing international cricket,” Srikkanth was quoted as saying. His observations carry enormous weight and he has demonstrated the same kind of courage which displayed while hooking the likes of the fiery Imran Khan who looked unplayable to many of his illustrious colleagues during that series of 1982-83 in which the Indians were blown away in Pakistan. 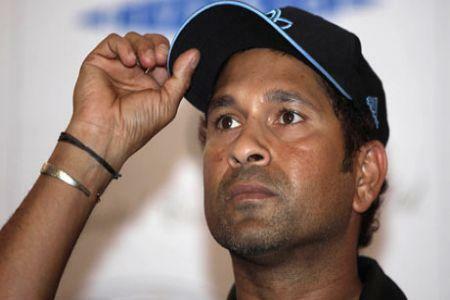 Tendulkar had done very little of note for India in the recent past, having become a liability for the team. His repeated failures and the inability to come to terms with even the average bowlers had made it absolutely clear that his days in the international arena were numbered. He already has had an extended career. As Srikkanth has suggested between the lines it’s really shocking why he has chosen to carry on playing Test cricket when he has lost the capability to do justice with the two-down position. Virat Kohli is very much there to take up the responsibility of batting at number four and Tendulkar will only be blocking the way of the gifted young batsman, whose frequency of winning matches for India is higher than that of the great man. Tendulkar’s reluctance to hang his boots has not surprised those who have considered his batting selfish all along, caring very little for his team. He has been accused of playing for personal records rather than for the glories of the team. This is substantiated by his dismal performance in many of the crunch situations where his own contemporaries Rahul Dravid and V V S Laxman rose to the occasion more often than not. Dravid and Laxman, both Test specialists, have already quit the game although both of them looked in better form than Tendulkar during the last couple of years.